When it comes to backlinks, you’re either painfully tracking them or letting them run amuck. Lucky for you, you still have a little time to grab the backlink monitoring maven that is LINKCheetah. But don't delay, these 48 hours will be over before you know it. LINKCheetah allows you to monitor and verify all of your backlinks from one sleek dashboard. LINKCheetah is the first tool that will check the validity of your backlinks and index status in Google and do so freakishly fast. With LINKCheetah, you’ll receive daily notifications if you gain or lose a backlink. You’ll also be able to see distribution of links on a page level as well as anchor text distribution. And since you’ll gather all of your backlinks from Google Search Console, Google Analytics, and Ahrefs in LINKCheetah, you’ll have a complete overview of your link profile. Best part: you can get your hands on lifetime access to this plan for just $49! And, if you have links everywhere, you can stack this deal up to 10x! This is the perfect way to stay on top of all your backlinks. Grab your code before time runs out! Get lifetime access to LINKCheetah now! They say speed kills. And that’s exactly how LINKCheetah is beating the competition. What takes the competition days to do, LINKCheetah does in minutes. LINKCheetah can crawl and check indexation status for 1000 referring links in roughly 5 minutes. Because LINKCheetah moves faster, they can crawl your link profiles and query Google each day to check for potential changes. 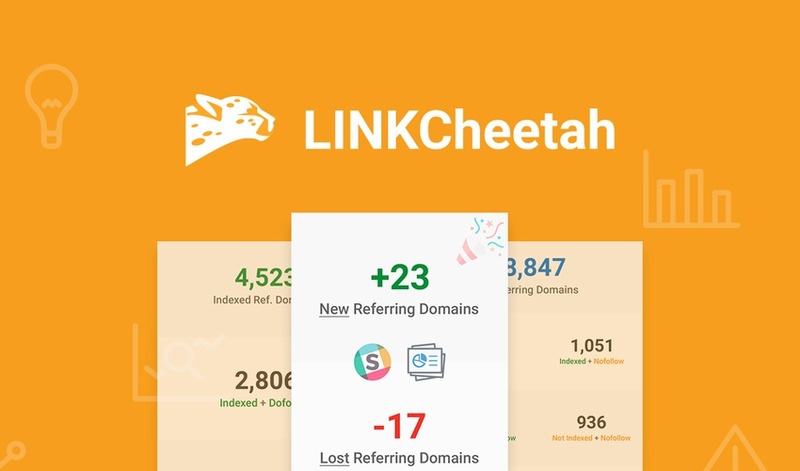 And if you connect your Google Analytics account, LINKCheetah can auto import all new links to its database and supply you with notifications about new links. If you are serious about link building, you need to be able to monitor your backlinks and your progress. Stop playing the “where did my backlinks go” guessing game. During these final 48 hours, get lifetime access to LINKCheetah for just $49! Start monitoring your backlinks now! P.S. Missed the exclusive LINKCheetah webinar? Click here to watch the replay.